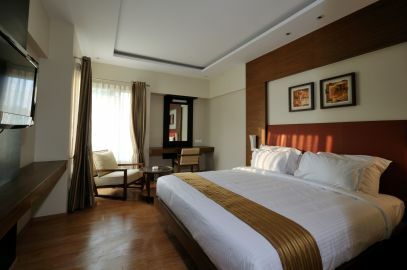 JM Four has well-appointed 25 rooms, centrally air-conditioned, with 24 hours room service. Laptop users can log on to the broadband internet service for high speed surfing or e-mailing. 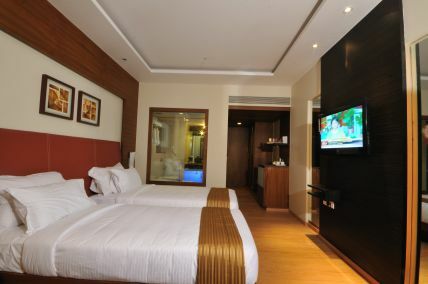 Every room is equipped with a mini bar, direct dialing facility, 32’’ LCD and the special warmth of JM Four. Value for Money is our motto and hence every thing has been priced carefully. Complimentary Tea/coffee maker in all the rooms. Complimentary Mineral water bottle every day. Superior Double Room: - INR 5000.00 + 10% Luxury tax.